The Rappahannock Forge Musket is one made at Virginia’s Rappahannock Forge, a private gunmaker that supplied the Continental army during the Revolution. 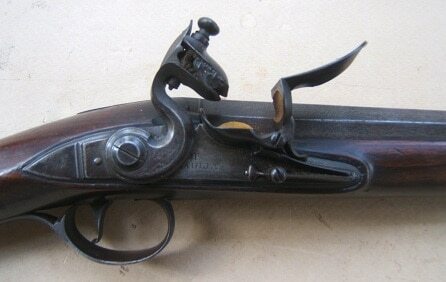 Private gunmakers would often combine available parts to produce muskets, using whatever supplies they had at hand. 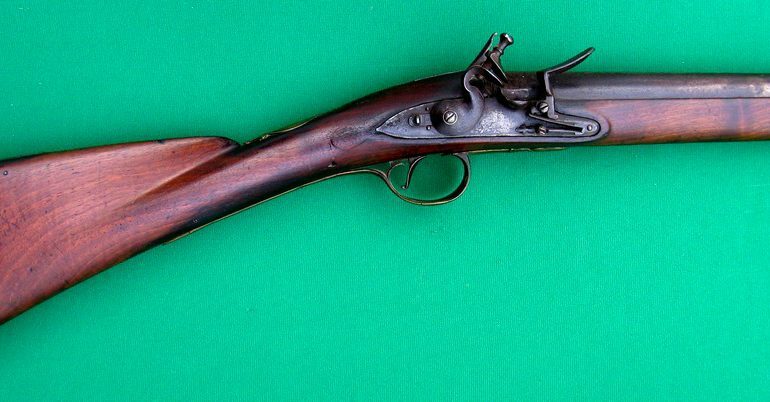 It is estimated some 80,000 muskets used in the Revolution were of mixed parts fitted by gunmakers. This specific musket measures 59.5 inches and is marked with serial number “411”, “I. Hunter” Rap Forge” and “A”. For source and additional details, click here.